After sharing 3 lunch specials at Jitlada Thai, we were pretty much full. However, Choobee wanted to go for some dessert. 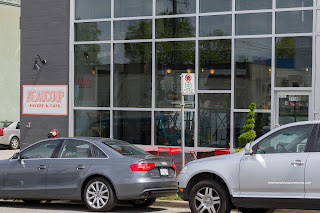 I immediately suggested Beaucoup Bakery due to its close proximity. Great. Now Choobee was doing her best impression of Mijune. Such a dangerous way to live... Eat til you drop... I immediately tackled the Double Baked Almond Croissant. It was heavenly with a flaky crisp shell which gave way to a soft, buttery and sugary interior. The best way to describe it is that it was a in-depth sweetness rather than just plain sweet. 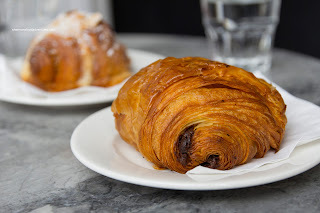 The Pain au Chocolate was equally flaky and buttery with a semi-sweet chocolate hit. It got really messy as Choobee got it all over her face and hair... 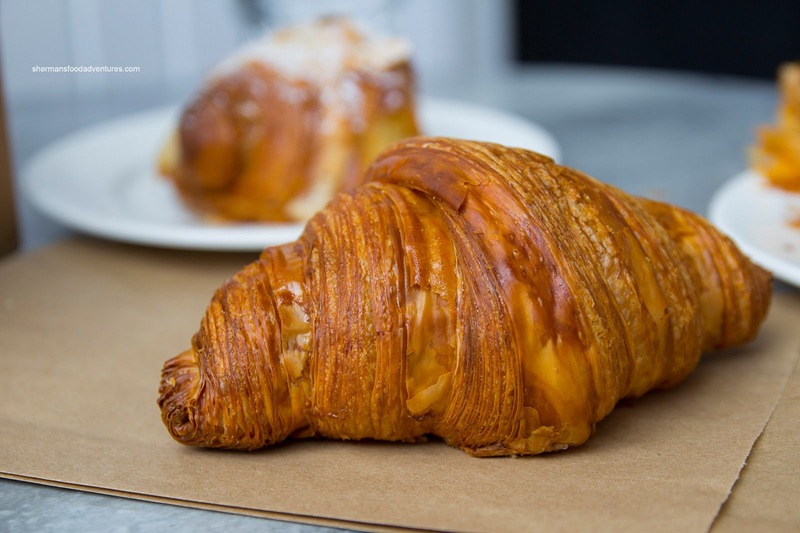 Ahem...The classic Butter Croissant was of course, crisp and flaky on the outside. However, it wasn't as buttery and soft as I would've liked on the inside (was it baked too long?). It's not to say it wasn't a good croissant, because it was, but I would've liked it to be less dry (however, I've been told that their croissants are usually not dry in the middle - could it be an anomoly?). Although the Raspberry Pistachio Macaron was easily the most attractive of all the pastries, it was only okay. 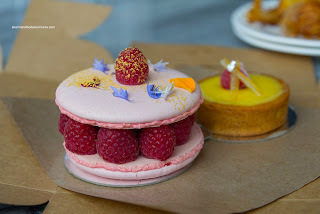 The macaron itself was very nice with a crisp delicate exterior and a soft chewy interior. The pistachio cream filling was not all that impactful although it had a creamy texture. The Lemon Tart was very well crafted with a firm buttery crust. Although the lemon curd was a touch on the runnier side, it had a nice tartness to it which tempered the sugar content. I liked how it was small since that was probably all I could eat in one sitting. 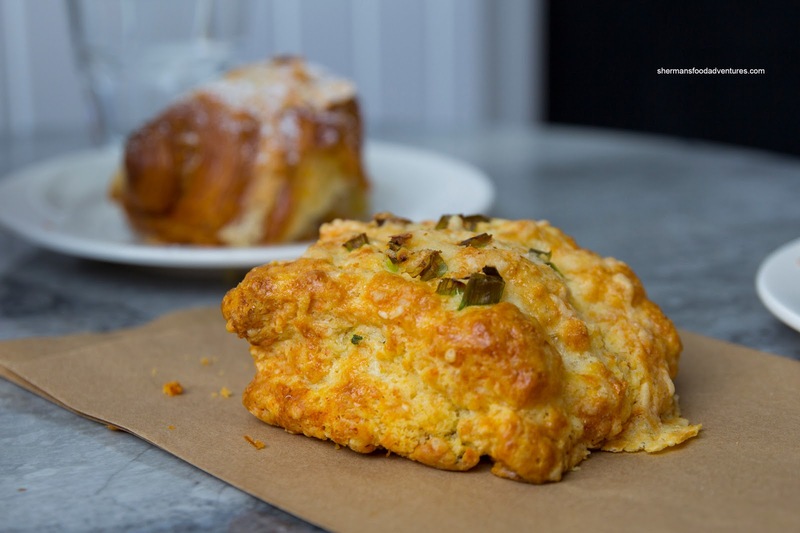 Savoury and cheesy, the Cheese Scone had a nice contrast of crunch and softness. Love the savoury elements. Overall, we were impressed with the stuff we tried at Beaucoup - these were some finely crafted pastries. The glamourous Persian psychiatrist who works at our ward brings in baked goods from Beaucoup when she has to do weekend duty. I get to eat these for free! I did not realize the almond croissant was DOUBLE baked. The ones I had Sunday seemed extra-crunchy on the edges compared to what I remember from several months ago. 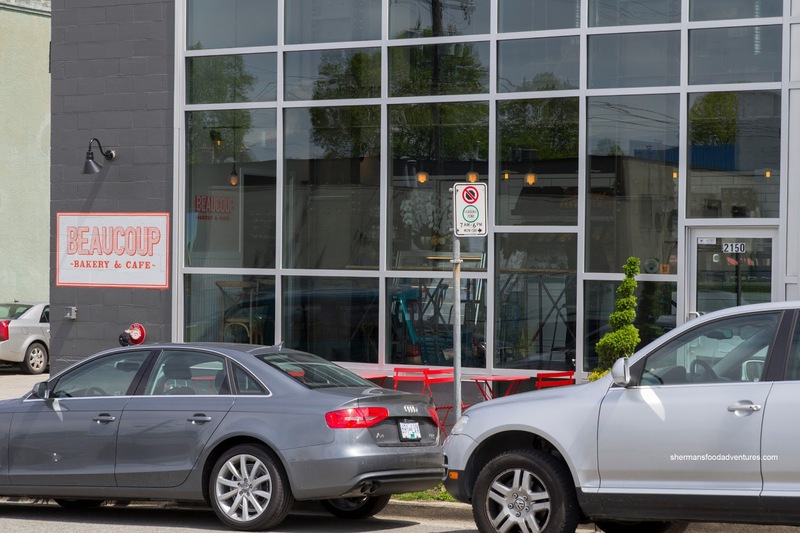 I wonder if Beaucoup has tweaked its baking procedure? They weren't bad back six months or so ago when she first treated us to them, but they seem even more superior now. 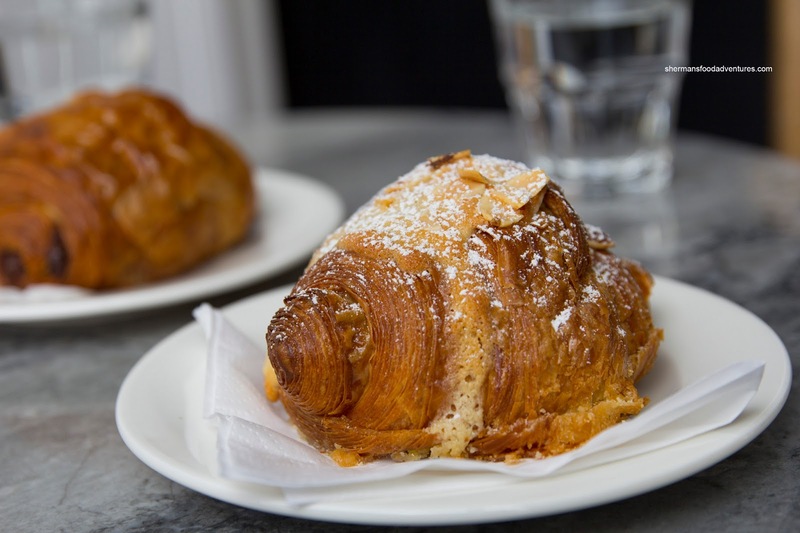 I pronounce these, especially the chocolate-almond croissant, as the best in the city. And I've eaten from pretty much all the great croissant shops in town.